In October were announced, by Microsoft, a considerable number of news about Operations Management Suite (OMS) and System Center. Our community, through these articles that are released on a monthly basis, aims to provide a general overview of the main new features of the month, in order to stay up to date on these arguments and have the necessary references for further information. The documentation of the language used in Azure Log Analytics and Application Insights (Kusto) was incorporated within the standard Log Analytics documentation which can be found at this link. 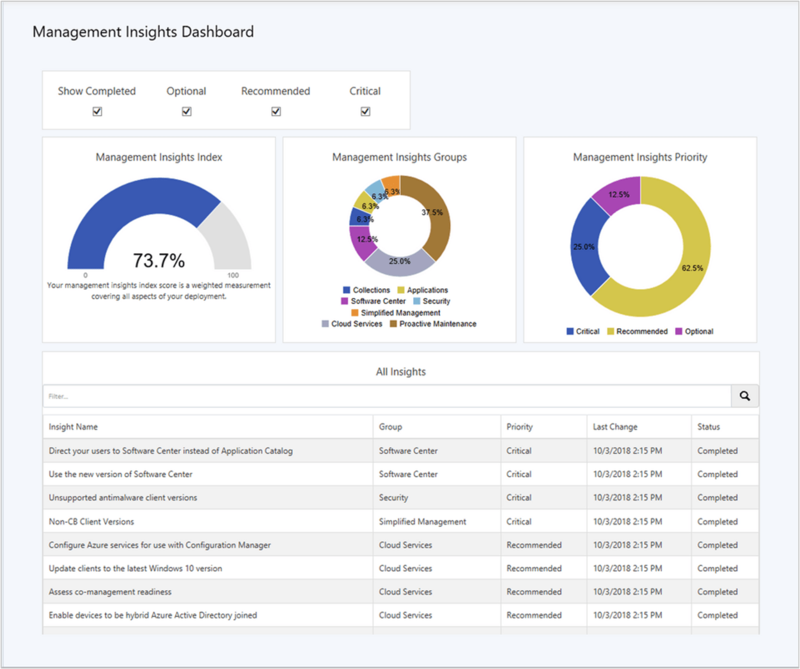 As announced at Ignite, Log Analytics and Application Insights are now an integral part of Azure Monitor and even the documentation was therefore adequate. In Azure Log Analytics was introduced the possibility to receive logs from Azure Active Directory (Azure AD). 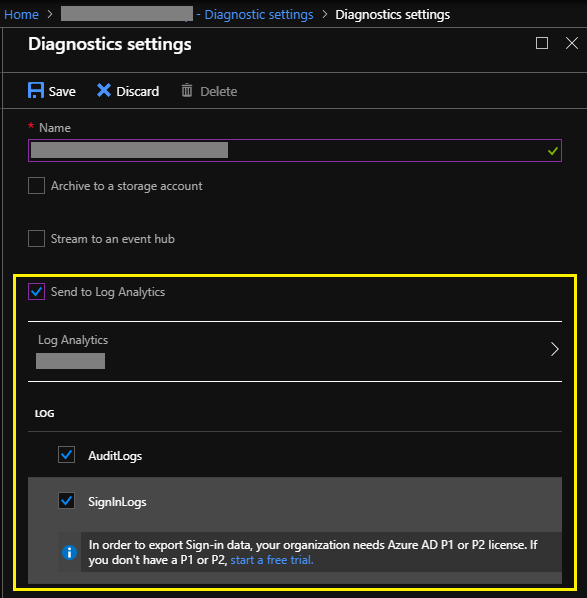 This is a long overdue feature that allows you to take advantage of the potential of Log Analytics for the data contained in the logs of Azure AD. For details please visit the technical documentation. This month the new version ofOMS agent for Linux systems fixes some bugs related to the custom logs that cause occasional duplicates and improves reliability. Azure Backup introduces support in every region for disks Standard SSD managed. The Azure Backup service has been extended to Central Australia region, where can now be used with the reliability and performance described in this document Azure Backup SLA. In Azure Backup it has been improved experience during restore of Azure virtual machines , allowing you to complete the restore operation without performing any task manually. In addition, the naming convention used to restore disks has been improved to make it easy to identify the various associated disks to virtual machines. Azure Site Recovery introduces support for virtual machines with the option of Azure Disk Encryption (ADE). This allows you to replicate this type of Windows virtual machines that are enabled forencryption through AAD app. For more details please visit the Microsoft documentation. Microsoft Azure Site Recovery Unified Setup/Mobility agent (version 9.19.5007.1): used for replication scenarios from VMware to Azure. Microsoft Azure Site Recovery Provider (version 5.1.3650.0): used for replication scenarios from Hyper-V to Azure or to a secondary site. Microsoft Azure Recovery Services agent (version 2.0.9139.0): used for replication scenarios from Hyper-V to Azure. Unified Setup/Mobility agent version 9.15.4860.1 or later. Site Recovery Provider for System Center VMM: version 3.3. x. x or later. Site Recovery Provider in replication scenarios without VMM: version 5.1.3200.0 or later. Site Recovery Hyper-V Provider: 4.6. version x.x or higher. For more information on the issues resolved, on improvements from this Update Rollup and to get the procedure for its installation is possible to consult the specific KB 4468181. Update Rollup 6 for System Center 2016 Virtual Machine Manager. For SCVMM in addition to solving numerous problems also introduces support for ESXi hosts 6.5. Update Rollup 6 for System Center 2016 Data Protection Manager. Update Rollup 6 for System Center 2016 Operations Manager. Update Rollup 6 for System Center 2016 Orchestrator. Released the version 1810 and the version 1810.2 for the branch Technical Preview of System Center Configuration Manager. Among the main new features of this release there is the new Management Insights dashboard allowing you to have an instant view of the rules, bringing back those that may require corrective action. Please note that the Technical Preview Branch releases help you to evaluate new features of SCCM and it is recommended to apply these updates only in test environments. Released a update rollup for System Center Configuration Manager current branch version 1806, that solves different problems. Management Pack for SQL Server 2017+ Reporting Services (version 0.10.0). Management Pack for SQL Server 2017+ Analysis Services (version 0.10.0). Management Pack for Windows Server Active Directory Domain Services (version 0.2.2). Management Pack for Microsoft Azure (version 1.6.0.0). Management Pack for Office 365 (version 7.2.0.0). Please remember that in order to test and evaluate for free Operations Management Suite (OMS) you can access this page and select the mode that is most appropriate for your needs. To try out the various components of System Center you must access theEvaluation Center and after the registration you can start the trial period. This entry was posted in Azure Backup, Azure Site Recovery, Configuration Manager, Data Protection Manager, Log Analytics, Operations Management Suite, Operations Manager, Orchestrator, System Center, What's New on October 31, 2018 by Francesco Molfese.